Carol Leigh Whitaker, age 71, called from labor to reward March 31, 2019. Cherished Aunt of Little Jackie and Devan Dinkins. 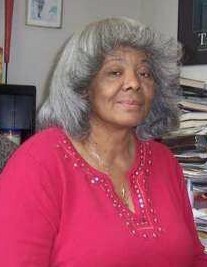 Beloved sister of Jacqueline Turner and Leroy Whitaker. Public Viewing will be held Friday April 5, 2019 3PM-7PM at Gaines Funeral Home 5386 Lee Road Maple Heights, OH 44137. Celebration of Life Services will be held Saturday April 6, 2019 at Greater Love MBC 3630 East 116th Street Cleveland, OH 44105, Wake 9:30AM Funeral 10AM.